We now offer a terrific range of bespoke umbrellas which can be custom-made to meet your specific requirements. All budgets and styles are available along with a tailor-made service for any special requirements. Each umbrella can be printed with your own logo, brand or other identity to create a totally customised and personalised item. For further information on our custom golfers' umbrellas, contact us now or telephone 0118 9 735 656 for a friendly chat. 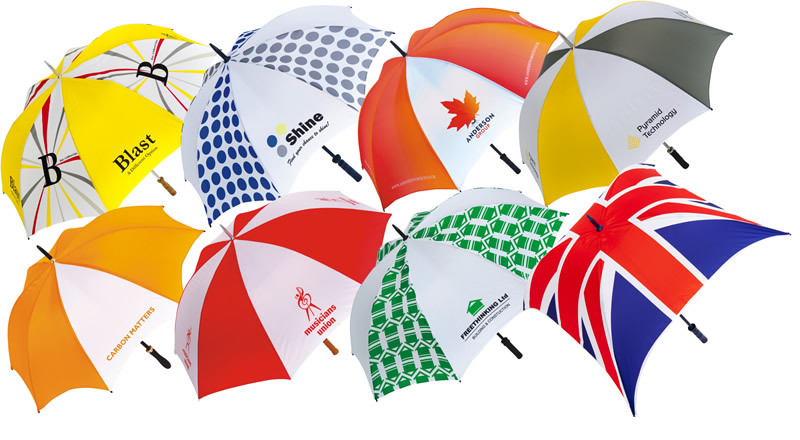 Alternatively, visit our dedicated website specifically for any type of umbrella for any type of event - all expertly branded with your logo.